On Saturday afternoons, I take one of my favorite class workouts, Forza, based on samurai sword fighting, with martial arts fitness instructor Ilaria Montagnani. After the warm-up and technical exercises, we learn two combinations, each a series of 16 moves – half cuts, diagonals, horizontals, for example – combined with squats and specific footwork moving backward, forward, sideways and diagonally. Once we’ve learned the combination, we repeat it, without stopping, for five to six minutes. For years now, we’ve done it, in unison, as a group facing forward towards the mirror. Until one recent Saturday, when I came to class after being away for several weeks and discovered that Ilaria had decided it was time to switch it up: Just as we do in martial arts, practicing our forms facing all four directions, she had us change direction every two minutes, turning to face the left wall, then the back of the room, and then turning again to the far wall. Suddenly the back of the room, where I was, became the “front” — and I got seriously discombobulated. I realized I hadn’t really learned the combination and couldn’t remember the moves on my own without seeing Ilaria at the front of the room. I turned right when the rest of the class turned left (“oh, hi, everybody!”), did a diagonal cut instead of a horizontal — as it turns out, I had only half been paying attention, while my body took the class on autopilot. I guess that shouldn’t be surprising, since 95% of the time we’re in autopilot, running a subconscious program that drives our thoughts, beliefs, decisions and actions. There’s nothing wrong with that per se: it would be inconvenient to have to relearn how to brush our teeth or find a different Starbucks everyday. But defaulting to autopilot — which the brain loves, because it’s efficient and means less work — makes it harder for us to change the behaviors that aren’t working for us. Yes, interrupting autopilot means you’ll be more inefficient, but you will also: 1) find yourself being more present in the moment and 2) prove to yourself that you can change, which creates confidence to go farther outside your comfort zone. 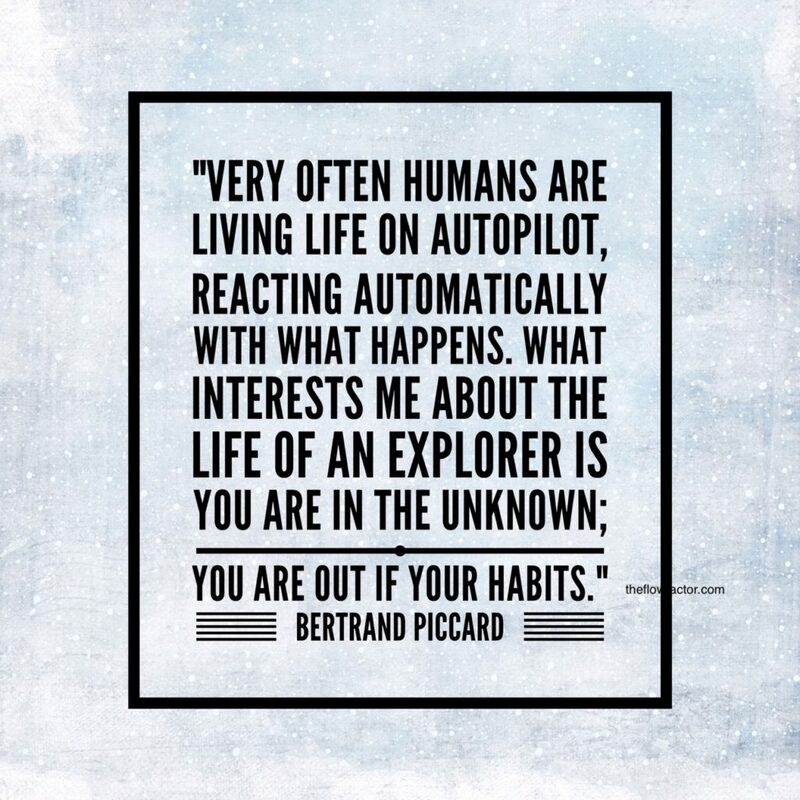 What’s one thing you can do to get out of autopilot? p.s. By the way, when we did the second combination in Forza, I was laser focused and nailed it.